WASHINGTON (AP) — A narrowly divided Supreme Court upheld decidedly Christian prayers at the start of local council meetings on Monday, declaring them in line with long national traditions though the country has grown more religiously diverse. The content of the prayers is not significant as long as they do not denigrate non-Christians or try to win converts, the court said in a 5-4 decision backed by its conservative majority. Though the decision split the court along ideological lines, the Obama administration backed the winning side, the town of Greece, N.Y., outside of Rochester. The outcome relied heavily on a 1983 decision in which the court upheld an opening prayer in the Nebraska Legislature and said prayer is part of the nation’s fabric, not a violation of the First Amendment’s guarantee of freedom of religion. Writing for the court on Monday, Justice Anthony Kennedy said that forcing clergy to scrub the prayers of references to Jesus Christ and other sectarian religious figures would turn officials into censors. 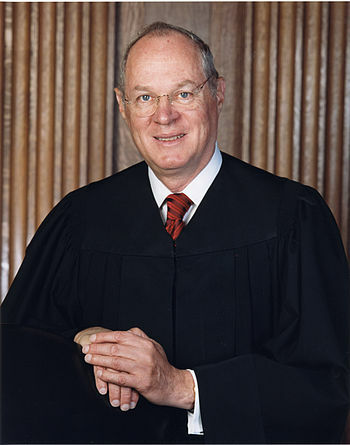 Instead, Kennedy said, the prayers should be seen as ceremonial and in keeping with the nation’s traditions. Finally some good news! With two precedents, it will be harder for the next Supreme Court to make changes (but as we get closer to end times, I suspect that won’t make a difference). Thanks Mr Ring for all you do! Thanks for commenting. Other folks, including the non-folk trio (our LORD, our Lord and the Holy Spirit) started it all and I just copy those who they allow to be copied.